Service is a foundational element at the School of International Service (SIS), and one that takes many forms. This Veterans Day, we asked a few SIS faculty members, students, and alumni about their experiences serving our country. 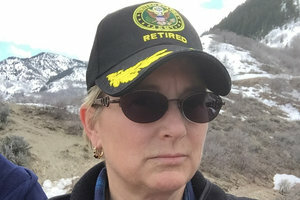 From a retired lieutenant general to an alumna who's caring for Army soldiers, here are a few stories of SIS veterans, reservists, and active duty personnel who prove that service isn't a moment-it's a mindset. "The principles of service, social justice, and leadership within our communities were foundational during my time as a student at SIS and have translated well into my military experience. As a medical service officer in the Army and currently earning my master's in social work, I've found the same ideals of servant leadership and social justice are just as foundational in my profession as they were in my academics. Prior to becoming a medical service officer, I was a human resources officer for five years. During that time, I worked closely with soldiers and their families who required help navigating stressful situations related to life overseas. It was fulfilling and meaningful for me to work closely with soldiers and connect them to community resources that eased the stress of life overseas for their family. I'm getting ready to graduate shortly and looking forward to continuing to serve and care for our soldiers in my capacity as an Army social worker." 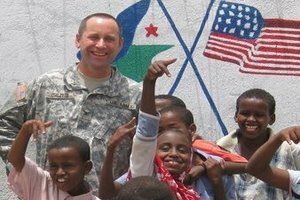 "As a former member of the US military who has served during the most recent conflicts, I am particularly happy to have the opportunity to share some of those experiences with AU students. Together with my colleague Nora Bensahel, in the last two years I have taught both graduate and undergraduate SIS students about different facets of military life. The response from students has been striking -most have no previous exposure to the US military, and all have found their participation in these classes helps them better understand our armed forces. I am particularly gratified to see our SIS students begin to recognize the scope of the challenges we ask our young men and women who serve the nation in uniform to undertake. Even more important, our students now see both veterans and those on active duty much more as someone just like them. 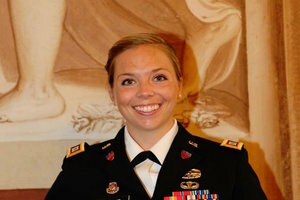 Breaking down the growing civil-military divide in the nation one AU student at a time is a highly rewarding pursuit." 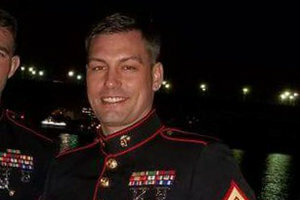 "I enlisted when I was 18 years old for a variety of reasons. I was getting into trouble, doing badly in school, and did not want to go to college. Further, I had a strong desire to travel the world and thought the Navy would allow me to achieve this and even pay me for it! The events of 9/11 also played a critical role in my decision to join, to be honest. I was angry and wanted to do something to avenge the terrible loss of life. I come from a military family with at least one family member from each generation having served. My two grandfathers fought in World War II: one in the Navy, the other in the Marines. My father served the Air Force in Vietnam and my wife is an Air Force reservist who has served in Afghanistan. Service means different things to different people, but to me it means volunteering your life to protect the lives and livelihood of the people back home. Yes, I never considered going to college, but as I matured and continued to 'rank-up,' I realized that the military needs innovative and intelligent leaders. This is what led me into college and, ultimately, graduate school. I wanted to be one of these leaders and chose to study United States foreign policy and national security in an effort to not only understand tactics, which the military teaches, but overall strategy as well. I plan on retiring from the military in about 18 years and my degrees from SIS have helped me with advancement. 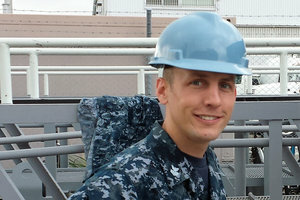 Further, I am in the running to get my commission and become a Navy officer!" 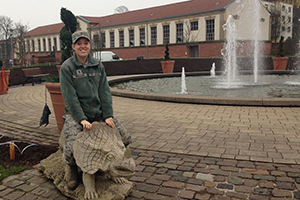 "From my first day on campus, I knew my military experience would be inseparable from my teaching. At first, those 30 years in the Army were just part of my background, and let me offer a different perspective on issues or events. Later, I created classes where that perspective becomes the focus, like a senior capstone class called Warriors after War. I've designed the course so students are encouraged to get off campus and either interview or do service projects with veterans, and I think it's deepened their classroom learning as well. In my 'day job' as a defense analyst at the RAND Corporation, my military experience both informs my research and motivates it, since better policies are not only good for the country, but good for the men and women serving today. Speaking of service, I've always found it fascinating that it was a veteran (after he became US president) who was the catalyst for us creating a School of International Service. I don't think it was a coincidence that Dwight D. Eisenhower helped us frame our mission not in terms of what students would learn, but rather what they would do with that knowledge. The military may think more consciously about its ethos of 'service,' but it's an ideal we all can pursue." "Like many of my fellow veteran students, I enlisted while America was engaged in the War on Terrorism. My reasoning for enlisting was, not surprisingly, a mixture of anger about the tragedy of 9/11 and uncertainty regarding how I would put myself through college. I believed, and still do, that my time in uniform would be an opportunity to expand my horizons and develop a series of useful skills and a formal education that would serve me later in life. For the most part, I achieved many of my goals; however, after several deployments and serving in various roles over 10 years on active duty, I had still had not achieved my goal of finishing my degree. At the midpoint of my military career I decided to leave active duty and continue my formal education at the heart of academic and political thought in DC. American University was a natural choice because of the diversity on campus and the enthusiasm of the professors and students in the classroom. I believe my time in the military has given me a level of focus I otherwise would not have had. As an older student who struggled to finish online courses during tours overseas, I have come to appreciate the brick and mortar environment of campus. As my time as an undergraduate comes to an end, I look forward to continuing my education in the study of cyber security, and continuing my military service armed with a new understanding of foreign policy and global security issues." "I think service is like any habit that at first takes active thinking, but once you get into that mindset, it starts to become a way of life. 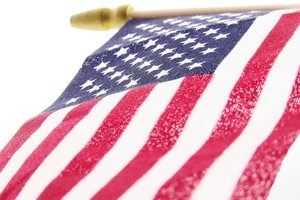 JFK's quote, 'Ask not what your country can do for you, but what you can do for your country,' summarizes that mindset: What can I do for others? For me, my family has a long history of service and joining the Air Force was a pay-it-forward moment because of how much was done for me. I grew up going to a Quaker school, so the military wasn't a typical path for many people I knew, but I needed to put what I wanted on hold and keep that history of service going. So many generations before me have fought for our beliefs and to be able to voice them without being criminalized -putting my interests on hold is something I could do in the short term. I've had the privilege of serving overseas in England, Germany, and Colombia during my time in the military, and that has afforded me a unique perspective of collaboration with other governments, and a huge part of that collaboration is military collaboration. Going to SIS gave me so much information about post-military options, especially having some teachers who were former military and incorporated that experience into the classroom and showed how it could transfer to the private sector." 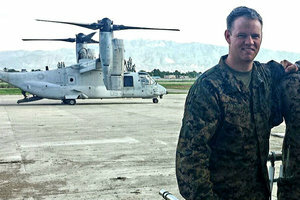 "One evening during a deployment with Marine Forces South, our commander leading the Special Purpose Marine Air-Ground Task Force, Southern Command, peered around at the group of Marines surrounding him. He shared the news that Hurricane Matthew, the worst hurricane experienced in the Caribbean in over a decade, was 24 hours away from hitting Haiti, and the Admiral of Southern Command was relying upon our group to be the first to respond. After serving five months in Honduras, this would be the next challenge for our group, based in Central America, and we were ready to face it head on. While commercials for the Marine Corps depict epic battles against terrorism and foreign enemies, the very same skills that make us fierce warriors who win wars are readily applied to responding to humanitarian crises. In just two weeks, we established a command post that provided more than 230 metric tons of relief supplies to the coasts of Haiti; we surveyed dozens of routes for passage through the country; and we coordinated mission planning with partners like USAID, foreign militaries, and the US Embassy. The operation is not what people likely imagine when they think of the Marines, but I'll never forget the pride I felt to see thankful crowds cheering as the Marine helicopters landed in villages across the countryside." "I was motivated to enlist for a variety of reasons because I believe life-changing decisions should be based on multiple factors. For me, I wanted to pay for my own higher education and gain some real-world experience in the process, and I didn't think I was ready for college yet. But most importantly, I knew I needed to serve. In my eyes, service is about committing to a goal, mission, or cause larger than oneself: one's family, one's community, one's country. It involves making personal sacrifices, such as time and effort, to strive toward a common purpose. It is the individual's desire to serve that drives us forward as a society, a country, and a united humanity. Serving abroad encouraged me to study international relations. 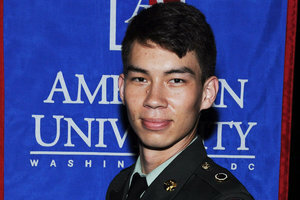 My military experience also shaped my education once I arrived at American University by providing me with examples to which I could apply the theories I learned in my studies." "I chose to serve in the United States Army for several reasons, one of which was my profound belief in the value of service to my country, and in the nobility of the Army's mission to support and defend the Constitution of the United States of America. Army soldiers are trained to fight wars in order to preserve the peace. There is a plethora of examples in our world today of how important it is to be able to wage a just war successfully: it requires perspicacious and innovative leaders committed to their mission and their troops. One can supplement, but not replace, experience with scholarly pursuits. Experience contributes to the evolution of a leader across the spectrum of time, space, and issue. My experience in the Army has provided me with invaluable and hard-earned leadership skills and the fundamental understanding that service is a mindset. It is a way of life, not limited to one or two moments in time. 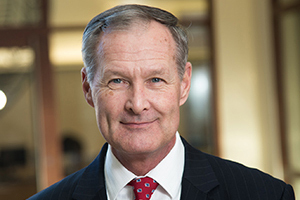 American University's School of International Service was founded upon the seminal understanding of a principle of global leadership: waging peace. In seeking an international relations MA program, I envisioned SIS students and faculty working together to build upon this paramount objective of how to wage peace and build understanding in the world of today. The United States Army will always be prepared to wage war so that America's leaders can wage peace. The two abilities are inseparable. From my perspective, SIS is fulfilling Eisenhower's mandate to 'wage peace' every single day."